Lahore, Punjab Public Service Commission Lahore will recruit the candidates on the post of Assistant Director in the department of Local Government & Community Development. 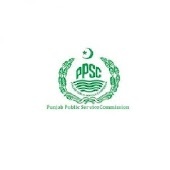 The written tests and interviews of the candidates have been carried out and now the PPSC Assistant Director Merit List 2019 has been issued to the candidates. The candidates are invited to visit this page and they will check their application no, merit no, names with father names, domicile and status in the PPSC AD Merit List 2019 with complete details.